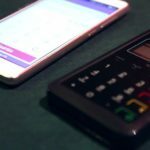 CEE FinTech founder Zsombor Imre made an interview with Ferenc Szasz Country Sales Manager at Ingenico, who is also responsible for business development in the Eastern European region. Ingenico is in the POS business for more than 30 years for now. Besides producing smart terminals, Ingenico is focusing on other business lines addressing the changing demands of customers. For the retailers mPOS is a good example of the topic. 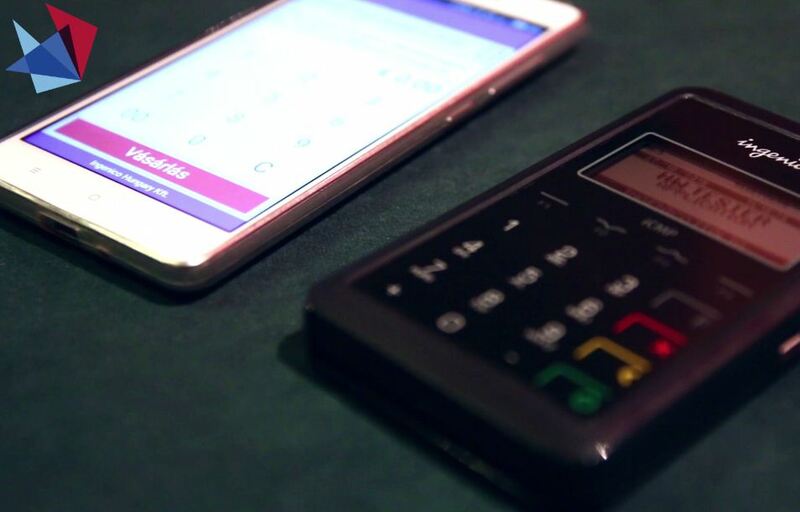 The device is connected to a smartphone creating state of art technology for card acceptance. Ferenc Szasz stated that fintech is a hot topic and fintech solutions are in the company’s radar. Moreover, last year there was a big acquisition in the region, that will impact the Hungarian market sooner or later. Ingenico bought the company called Think&Go that is producing smart connected screens. Think&Go NFC has developed a technology that enables any kind of digital display to interact with connected objects such as smartphones and transit passes. Thanks to the technology once you put the card behind the screen you can initiate transaction, offer products or opportunity for immediate payment. Smart terminals can be used as a customer screen as the device has an HTML5 web interface. Merchants are able to download applications through a store. Through the terminal different type of products can be offered, can be used as a customer screen or a satisfaction survey screen. This is also valid for the mPOS system. ’The market is ready but not fully ready.’ – stated our interviewee. 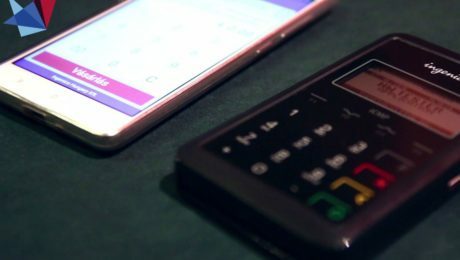 Fintechs are creating really innovative and customer-focused products and services but he still misses an universal solution that can relay cash or contactless payment.One important aspect also is generation, as X generation is partially opened to these solutions, Y and Z generations require easy and fast payment methods. CEE FinTech founder Zsombor Imre made an interview with Zsolt Nyéki. Zsolt is the Deputy CEO of OTP Mobil that is developing the Simple application. OTP Mobil is a company owned by OTP Bank the major Hungarian retail bank, its task is to create mobile commerce and mobile payment solutions for the markets. Simple already has over 200.000 registrations and 1 billion forints turnover in 2016. Simple does not want to implement everything, only deploy those services that could be relevant on mobile. It must provide an advantage and benefit for the customers. Customers need a complex solution in their hands. They do not want to jump from one platform to another, just handle things with one click. And of course, they would like to do it in a secure and trusted environment. The Florin Awards Europe is now open for entry. Created in 2010 to stimulate innovation in the transaction services industry, the Florin Awards are prestigious wins for outstanding solution / service providers. Winners receive promotion, publicity and interviews to extend their business reach. In 2017, along with the increasing shift to security being top priority in the transaction space, the Florin Awards Europe will have a key focus on developments and initiatives towards improving security in the transactions. “We actually are in a constant battle to ‘smart-out’ elements in society who focus on taking advantage of weak spots in our infrastructure. In order to prevent fraud and raise security levels, a lot of energy and innovation is needed to secure a trustworthy and reliable (payment) infrastructure and still secure a customer friendly and simple way of operations,” said Harry Smorenberg, chairman of the Florin Awards Europe. The Florin Awards Europe will be judged by a panel of 4 experts led by Charmaine Oak, co-founder of Shift Thought and author of “The Digital Money Game”. Together the jury will select 5 nominees per category. In a open online voting, the public will vote for their choice in each category. The jury will also select their best from among the nominees. Each category will have the ‘public vote winner’ and ‘jury vote winner’. The Application fee for the Florin Awards Europe is € 285 excl. VAT. The Florins are awarded to the winners in the Florin Award ceremony at the EUROPEAN Payment Summit. Jury members present will announce the winners. Each winner is allowed a short ‘thank you’ speech. 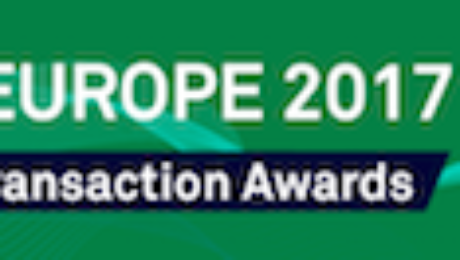 The Florin Award Europe is organised by Transactives, the host of the EuropeanPaymentSummit. EPS offers a unique 2 day dual program featuring key developments ‘for-by professionals’ in the payments/transaction space combined with a key sessions on international Security & Fraud in a special collaboration with Hague Security Delta (HSD). These two program sections will be programmed in parallel to enable delegates to switch and select key sessions to attend. Next to plenary introductions, delegates can create a full meaningful 2 day program in order to gain best insights on developments, debate on key issues and learn from best practices. Of course there will be ample time for meeting your international peers and thus networking. Our 2017 program will focus on key developments in the transaction space as we also will discuss in-depth the fraud & security challenges. Our audience consists of key policy makers, decision makers in the FSI, top-experts in payments and the transaction space and key stakeholders in both payments (cyber)security, technology, transaction infrastructure, mobile, cards and other related areas of expertise. 13 startups got the chance to participate in the Startup Collider accelerator program designed to fintech solutions. The program is focusing on the Central Eastern European region. Startup Collider team searched for four months to find the most suitable startups for its acceleration program. Part of their scouting activities they have also been to our FinTech Meetup in Budapest to present the Collider mission. Startups depending on their maturity phase could get into one of two different programs; Startup Bootcamp and Fast Track. In the Bootcamp program, the eight startups – Xchanger, Cognitum, Claims Control, Blueopes, TalkBank, finAPI, Autenti and Jumbster – have already started their work. The Fast Track program accepted five more mature companies – Noa Tech, Cyber Productivity, Dotmetrics, Transparent Data and Coinfirm – who with the help of the program can extend their networks. Actually one of our community members – Blueopes – has got in the program. Blueopes is an automatized wealth management platform offering custom-tailored portfolios that are focused on sustainable investments. You can get to know more about the teams by clicking here. The program offers space, mentorship, support and network. The selected startups got workspace close the PwC office in Warsaw and dedicated PwC mentors who help them grow from day one. For the first three month Collider program offers support in market research, pricing, product development and legal issues. After this, a longer period comes with possible market entries, together with PwC. The program does not include money investment, financial support and also does not ask for shares. 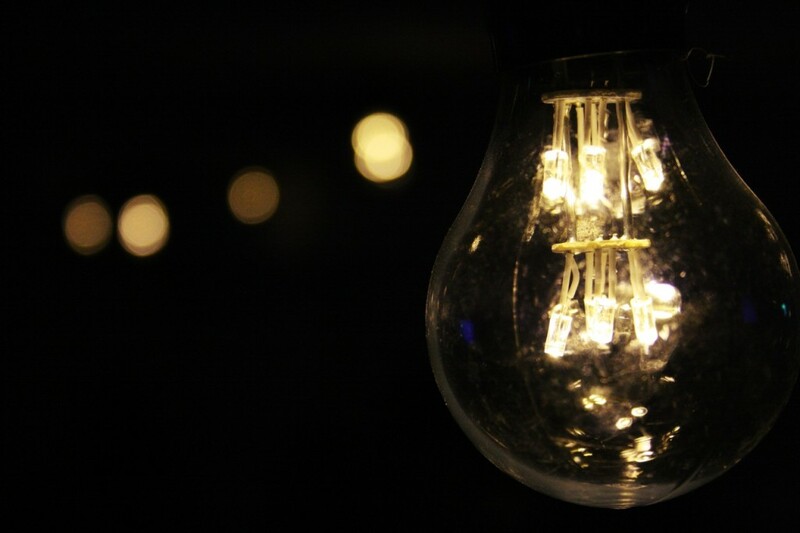 Startup Collider is a new initiative for nurturing and promoting startups from CEE. Each annual cycle of Startup Collider includes a 3-month bootcamp stage. The first edition started on 9th January 2017 and sees the entrepreneurs meeting with PwC’s experts and relevant business units to compile more information. The startups chosen for the acceleration program will be matched with two dedicated mentors, a non-PwC expert and a PwC high performer, who is chosen based on his/her relevant expertise and serves as the contact point between the startup and PwC. This mentor works directly with the startup and is responsible for securing access to additional resources in PwC. The extensive acceleration program is followed by a go-to-market stage of 6-9 months, during which PwC and the startups work together on the Proof of Concept and the first sale. More mature startups will directly move to this stage. Everyone knows that merchant payments and card acquiring offers are highly commoditised Upload Filestoday. When merchants select a payment provider usually considers two factors: price and customer experience. Multi-channel merchants have more ways to interact with customer than ever, but they need to translate these interactions into a POSITIVE CUSTOMER EXPERIENCE. They need to CAPTURE CUSTOMER FEEDBACK and constantly MEASURE the gap between the expected customer experience and what is actually delivered during digital shopping journeys. only 21 % say the communications they receive from the average retailer are “usually relevant. 88 % of merchants say their growth depends on personalizing the customer experience – but lack the resources and expertise to design an improved customer journey. Only 37 % believe they have the tools they need to deliver exceptional customer experiences. But the danger may come in focusing solely on one part of the experience. Only 22% of the companies surveyed by E-consultancy and Seren (Foviance) had an integrated strategy to improve the customer experience. With proliferation of smartphones and Internet connectivity, merchants can engage even with card customers and let them see available discounts when they are in or near their merchant location and also to confirm risky transactions. There are several ways how payment providers can help merchants improve customer experience with new functionalities like payment data analytics, advertising and loyalty programs. Card acquiring and merchant services increasingly tend to attract new FinTech entrants. Their solutions help merchants drive personalized interactions and improve buying decisions. HOW? They are floating customized app solutions on cloud services so that they can access and leverage API data to provide more insights into consumers’ buying habits. Digital transformation, increasingly dematerializing plastic cards offer several innovative ways for a powerful communication between customer and merchant. For example, Feedback, a service launched by Square in may 2014 provides fresh way of looking at an old problem of letting customers offer comments on their shopping experience. It let businesses get and act upon feedback from customers through their digital receipts. If a business decides to use Feedback, customers is prompted to answer the question “How was your experience?” with either a smiley or frowny face when they receive their receipt by text or email. Businesses are able to respond to customers on an individual basis. The feature is available to merchants for $15 a month. According to the Wall Street Journal Square processed in 2014 10 million digital receipts per month, so the opportunity to facilitate the building of those relationships is substantial. The API driven digital innovations focused on building positive customer experience represent attractive revenue opportunity also for traditional merchant payment acceptance providers. Are traditional card acquirers, banks, PSPs, ISOs & payment networks doing enough to help merchants create a more customer centric experience, shorten the buying cycle, increase loyalty and retention, and boost customer life time value? How do they face the challenge of disruptive services being launched by innovative FinTech companies? Forward-looking payment providers aren’t writing off startups as threats. Instead, they’re finding new ways to collaborate with them. Starting with recognizing a need for building a collaborative culture, they can look to address customer expectations and working with other businesses to make their services ready for Multi- & Omni-channel commerce. 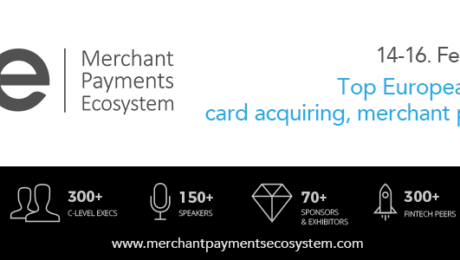 Merchant payments, Open Platforms & API driven digital innovations with FinTech companies are among the key topics to be discussed at the MPE 2017, the Top European merchant payments, POS and card acquiring event featuring 300+ CXOs and MDs, 150+ speakers, 1000+ of participants from 40+countries, 70+ sponsors & exhibitors. MPE 2017 is 1 BIG expo with 3 parallel conferences, MPE top class networking & evening dinners; Internationally recognized MPE Awards, MPE C-Level Club , Festival of European online merchant payments and Innovation Corner. MPE 2017 topics span from ACH payments, Apple, Samsung, Android Pay to integrated shopping experience, NFC, from FinTech to RegTech, SmartPOS, mobile & online checkout conversion, CNP Fraud & security, IoT, biometrics, local and cross border acquiring. Use our sponsor code MPE_INVEND for discounted tickets & EXPO opportunities in MPE Start-up Alley! [LONDON] Blockchain conference, Blockchain Expo, has today announced expansion of the event series with shows confirmed to take place in Berlin and Santa Clara after the inaugural London event, 23-24 January 2017. The event which examines the disruption blockchain technologies are expected to bring to the legal services, financial services, insurance, energy, legal, governmental and real estate industries has been embraced by the blockchain community with notable experts and leading organisations joining the conference agenda. Blockchain Expo Global will take place in London, 23-24 January where the conference will joined by over 1,500 attendees and more than 60 speakers including; Brian Behlendorf, Executive Director, Hyperledger, Paul Kammerer, Specialist Corporate Strategy, Commerzbank AG, Sofus Mortensen, Chief Quantitative Analyst, Nordea Bank, David Pinski, Chief Strategist for Financial Innovation, Hitachi, Leanne Kemp, CEO/Founder, Everledger, Eddy Travia, Pioneer Blockchain Investor & CEO, Coinsilium and Neil Pennington, Director of Innovation (UK), RWE npower. Blockchain Expo Europe will take place at Estrel, Berlin on 1-2 June 2017 and Blockchain Expo North America will take place at the Santa Clara Convention Center in the heart of Silicon Valley on 29-30 November 2017. At Cyberus Labs, we have chosen not to “patch a leaking ship” but to bring a new approach to some vexing cyber-security problems. Right from the beginning we have set our own course – to focus on eliminating cyber-threats, and to deliver solutions that will be both secure and easy to use. Founded by three experienced international entrepreneurs (two from Silicon Valley, CA and one from Poland) Cyberus Labs was launched in 2015 in Krakow, Poland. The founders have strong backgrounds in cryptography, digital signal processing, audio-watermarking that was the inspiration of the Cyberus Key password-less user authentication system. Passwords are the weakest link in cyber-security today. It is a broken and compromised system. On the one hand, companies are vulnerable to theft of credentials often resulting in both financial and reputational losses. On the other hand, users struggle to create, remember and input dozens of username/password combinations for the increasing number of online services that are part of their daily lives. What is the solution you provide? How is it unique? Our solution addresses head on the vulnerabilities of passwords as an authentication method by eliminating them altogether. Our flagship product is Cyberus Key – a revolutionary, multi-patent pending user authentication system that verifies a user to any online service with one-click of a mobile app. Cyberus Key uses unbreakable cryptography method to generate a one-time token that verifies both sides of any transaction (e.g. user to a website and vice versa). Cyberus Key eliminates this way phishing and “man-in-the-middle attacks. Cyberus Key will offer also user-to-machine and machine-to-machine authentication solutions for the Internet of Things (IoT) world, ensuring effective authentication and authorization that is the biggest obstacle for the growth of this whole industry. What happened so far? What are the milestones that you have reached? What do you identify as your greatest accomplishment? Cyberus Key system had its world premiere in September 2016, at the CYBERSEC Forum 2016 – one of the most important cyber-security conferences in Central Europe. Right from the beginning our solution was very well received, we had a lot of very positive feedback and interest from both private and public sector. We have MVP on the market, as well as a Mobile Only version of our system. We are just starting 4 pilot programs with large multinational companies and we are engaged in talks about implementation and use cases with many other companies across Europe. We were invited to join the Cybersec HUB program that aims at promoting Polish cyber-security startups globally. We also have been selected from over 1,000 companies from all over the world to participate in StartupBootcamp IOT& TechData in Barcelona, Spain. What are your next goals? Long term plans? We are working intensively on business development in Europe. Right now we are engaged in implementation projects witch different kind of companies – from international giants in the banking/financial sector to small to medium sized companies, in eCommerce, IoT and other industry sectors. Immediate goals include: sales growth and raising capital investment for national and international expansion. Longer term, one of our goals is to create an ecosystem of companies from different industries that use Cyberus Key as a user authentication system to enable their users to enjoy a truly secure and easy to use Single Sign On system. Cyberus Labs is a new kind of Polish company that is global in its DNA. Cyberus Labs was co-founded by Silicon Valley and Polish entrepreneurs: George Slawek (CEO), Jack Wolosewicz (CTO) and Marek Ostafil (COO). Every one of us has its field of expertise and together we create a perfect match of experience, skills, knowledge that enables us to run the company, execute and deliver outstanding results. 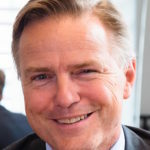 George Slawek has over 20 years of experience with global companies and technology startups in the US, the UK and in Poland. Over the last years he has successfully launched and managed three technology starts-ups in Silicon Valley. Prior to that, he spent 13 years with Bank of America in Capital Markets and Investment Banking. Jack Wolosewicz has a 25-year track record of pioneering new technologies, innovation and technology implementation. He has founded multiple technology startups in Silicon Valley and in Boston, Mass where he did his doctoral studies at MIT. His wide technical expertise includes: DRM and copyright protection, image and audio digital signal processing (DSP), secure communications and encryption. 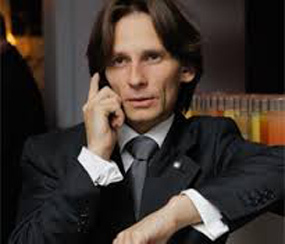 Marek Ostafil has 20 years of experience in managing international teams and projects. He has gained experience in Digital Sound Processing since ’90 at the Eloctroacoustic Music Studio of the Music Academy in Kraków, Poland. He was a manager and co-organizer of many international projects in Europe that combined sound and new technologies. He worked also as an Associate Producer for Discovery Channel and RAI. Guest lecturer at the Jagiellonian University (Cracow Poland) and guest speaker on management and fundraising. There are few things. First of all – a revolutionary technology and its concept of Cyberus Key, developed by our CTO Jack Wolosewicz. Another is our approach of eliminating the use of user credentials that have any value to bad actors – we decided to eliminate problem rather than participate in an „arms race” with hackers. And there is a great team – experienced international professionals in the fields of cyber-security, IT, business development, marketing, management, and finance. What was the biggest difficulty in your business that you had to cope with so far? What are the areas that are the hardest to handle as a startup? The biggest difficulty is the cyber-security awareness among both: companies and end-users. Despite the fact that the cyber attacks happen almost every day, companies and users still think that this problem does not concern them. They live under an illusion that they are safe using present authentication or login technologies. Well, they are not. They still do not fully realize the seriousness of cyber threats. Companies have and continue to invest in weak cyber-security solutions e.g. biometrics and as a result often are reluctant to spend more money on a more secure system. I think all startups have a similar problem – being small company with a relatively short history, it is sometimes difficult to convince the large players that we can be partners and work together. There is this „David and Goliath” situation. But we see an increasing number of large companies willing to engage with startups. This is very encouraging and good for both – large companies and startups as both sides can profit from this partnership. Who do you see the fintech ecosystem in the CEE region? What are the opportunities here? CEE region has a great potential as a market. It is very open to innovation and is developing quickly. It is often a „testing ground” for large multinationals introducing innovation, new approaches or solutions that, if successful in smaller markets, are then rolled out globally. That is a great opportunity for us and early stage fintech companies to engage with large corporates. On the other side there is a lot to do to create a real ecosystem that will help startups to grow, develop, learn and scale. EU or public money is not enough. Neither are just good intentions. What is needed is to build a smart ecosystem, bringing together real experts in different fields, large companies that really are interested in those cutting edge technologies and opened to work with startups, public sector that will not stand as an obstacle to a company’s survival or growth. And all those elements should be united by the entrepreneurial spirit, focus on doing business than formalities, innovation for its own sake and good looking statistics that are really a „vanity metrics” of how many startups have taken a part in, for example, acceleration programs and failing to define and measure the right KPIs. 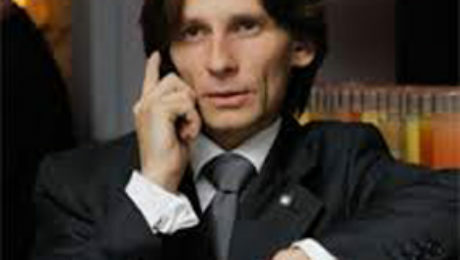 Marek Ostafil – COO and Co-Founder of Cyberus Labs. He has 20 years of experience in managing international teams and projects. He has gained experience in Digital Sound Processing since ’90 at the Eloctroacoustic Music Studio of the Music Academy in Kraków, Poland. He was a manager and co-organizer of many international projects in Europe that combined sound and new technologies. He worked also as an Associate Producer for Discovery Channel and RAI. Guest lecturer at the Jagiellonian University (Cracow Poland) and guest speaker on management and fundraising. He has a Masters Degree in History of Art from the Jagiellonian University and a recipient of a scholarship from the International Center for Culture and Management (Salzburg, Austria). Technologies enabling P2P (peer-to-peer) lending and payment, as well as virtual currencies can make currently complicated financial transactions faster and simpler than ever before. However, before fintech innovations can rock the financial culture in Central Eastern Europe, a number of legal issues has to be settled to ensure consumers are protected and the financial system remains stable. Technological innovation in financial markets continues its inexorable advance. Alternative payment methods (such as e-money and peer-to-peer payment), alternative finance (such as peer-to-peer lending and crowdfunding), block-chain based clearing and settlement, new insurance models, and virtual currency exchanges are only a few of the recent developments endeavoring to make the financial system more efficient. These new forms of business will disrupt the present system of financial markets and the processes by which financial intermediaries work. Further, the underlying technologies require pioneering legal solutions to protect investors and foster innovation at the same time. In Central and Eastern Europe (CEE), banks are immersing themselves in the new challenges of the financial technology (“fintech”) industry. Hungarian banks are also conducting market research to evaluate fintech potential, but they cannot succeed in the absence of strong regulatory support. Based on recent market practice, the following technological and regulatory improvements are shaping the agenda in financial markets. The beginning of this century has been marked by buzzwords such as sharing economy and peer-to-peer (P2P) solutions. This latter phrase covers myriad use cases, but the two most emerging forms of peer-to-peer finance are P2P lending and P2P payment. Both financial technologies connect people and execute value transfer without interposing intermediaries such as banks or clearing houses. P2P Lending. Marketplace lending platforms emerged before the financial crisis and rapidly spread after its conclusion. Because P2P lending is expected to emerge in CEE, including in Hungary, the legislators will have to enface regulatory challenges soon. 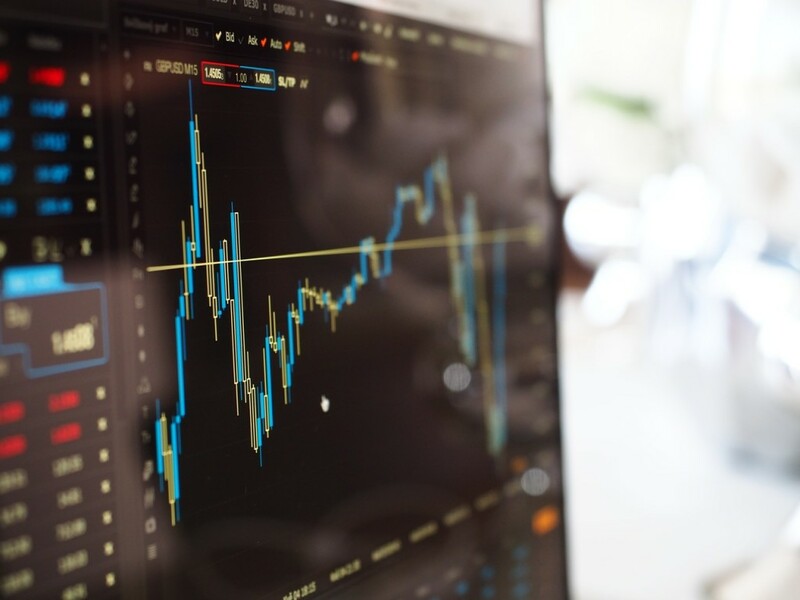 Transparency and disclosure obligations will be of paramount importance in assessing how marketplace lending will impact the stability of the financial sector. In addition, different prudential requirements and consumer protection regulations need to be established, depending on the service providers’ reliance on the services of the banks. P2P Payment and Blockchain Technology. While the end of the last decade was about the Internet of information, in the recent years a new trend has emerged: The Internet of value. Transferring value via Internet was not possible before the advent of blockchain technology, one of the most revolutionary technologies since the invention of the Internet. Blockchain is known mostly for underpinning bitcoin, but it has much wider implications than that. It is also a distributed ledger technology (DLT), enabling the transfer of digital assets without the need for trusted third parties. Prior to DLT, it was necessary to interpose a trusted third party who kept track of balances. Blockchain technology solved this problem by establishing a network of distributed ledgers that almost instantaneously records the transactions in blocks, thus building an irreversible chain and ruling out the possibility of so-called double-spending. The most challenging legal issues around P2P payment and DLT involve the distributed nature of the system. As there is no entity that can supervise or interfere with the system, authorities will need to deal with the absence of effective regulatory supervision. In addition to P2P payment, numerous companies are leveraging blockchain technology and its trustless nature. 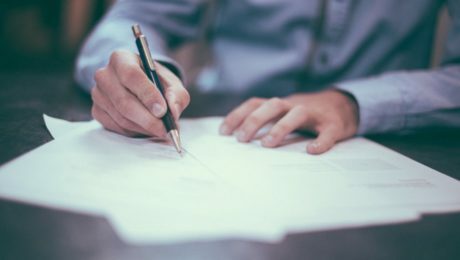 Without aiming to give an exhaustive list, possible applications of the DLT include clearing and settlement, new insurance models, smart contracts, identity verification, crowdfunding, and land title registries. Clearing and settlement of securities and (cross-border) payments rely heavily on clearinghouses and correspondent banks. Applying the DLT to clearing and settlement systems could make even clearinghouses and correspondent banks superfluous, and thus could decrease settlement time, costs, and risk as a consequence of a single point of failure. Although it would extinguish counterparty risk almost completely, the impact of a systemic risk in case of blockchain-based technologies would be much more overwhelming due to the ubiquitous nature of distributed ledgers. Virtual currencies are unregulated digital money, however, it is extremely hard to categorize them under existing civil and financial law definitions. In the absence of an issuer, they cannot qualify as e-money under the E-Money Directive. Although some virtual currencies have an issuer, they do not fall within the definition of e-money according to the European Central Bank, since they are not issued upon receipt of funds. Trading with virtual currencies also takes place outside the established financial system. In order to prevent misuse of virtual currencies for money laundering and terrorist financing purposes, the European Commission has proposed bringing virtual currency exchange platforms and custodian wallet providers under the scope of the Anti-Money Laundering Directive. Moreover, if the legislative power would like to regulate the trade of virtual currencies, it would be required to define them within the scope of existing legal categories – e.g., as financial instruments. Companies taking advantage of the above-mentioned technologies have just begun to spread in Western Europe but they will be present in CEE soon due to the passporting of their licenses, if nothing else. This will pose an enormous challenge to the legislator to regulate those services in a way flexible enough to promote innovation but strict enough to provide an efficient level of protection for both consumers and investors. Balázs Szalbot is a fintech enthusiast, currently exploring the legal challenges of financial innovations. Balázs is particularly interested in alternative payment methods (prepaid cards, mobile payment, e-money, peer-to-peer payment), alternative finance (peer-to-peer lending, crowdfunding), blockchain-based clearing and settlement, prediction markets, virtual currency trading and smart contracts. 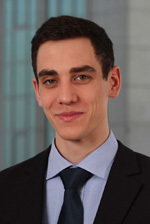 Balázs also works as a junior associate at DLA Piper Budapest office, where he deals with regulatory issues related to financial markets. Who can you meet on the Money20/20 Roadshow event in Budapest?